The project funded by “Noria Programme” of the Parliamentary Assembly of La Francophonie is intended to enable Members of Parliament follow debates even out of the plenary hall. The National Assembly and the Senate at moment both boast of internal live broadcast screens displayed on their walls. The initiative hatched in May last year is funded by the “Noria Programme” of the Parliamentary Assembly of La Francophonie within the framework of parliamentary cooperation. The first phase of the project has left both Houses of Parliament with 120 inches flat screens that streamline debates and other deliberations. Hon Cavaye Yeguie Djibril, Speaker of the National Assembly announced the realisation of the first phase of the project during the opening plenary sitting of the House for the June 2018 ordinary session on Thursday, June 7, 2018. He stated that the objective of the screens are to enable MPs keep track of debates at the House Chamber even when they are not in the hemicycle. Since then, the screens have been re-transmitting images and debates at the National Assembly and Senate as they unfold. Staff of the Lawmaking House are equally expected to use the screens for a simultaneous follow-up of proceedings in the plenary hall. 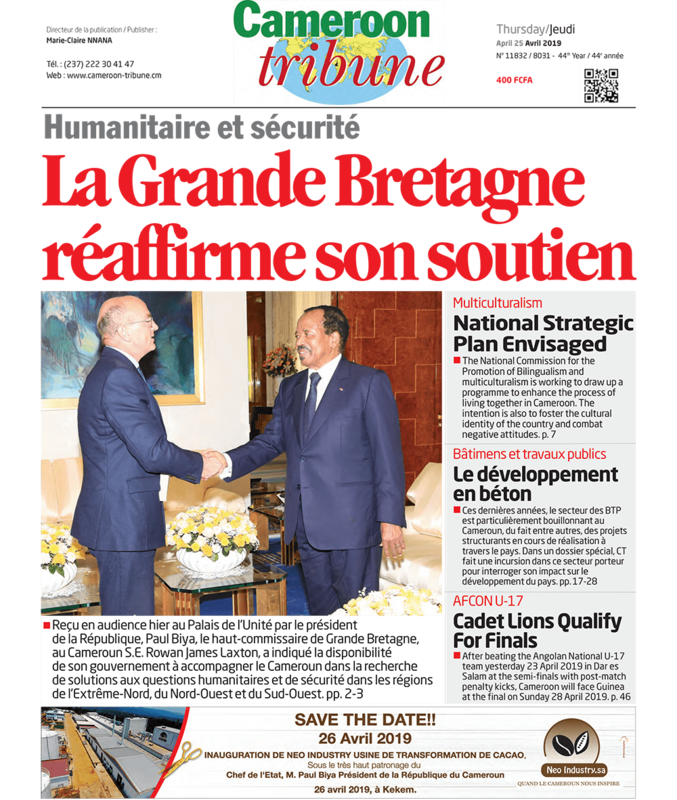 Ekema Emmanuel of the Communication Unit of the Ngoa-Ekellé Glass House told Cameroon Tribune that the project further anticipates the installation of more of such screens at the main corridors around the Assembly building to enable workers keep themselves abreast with activities at the Chamber. He further stated that the technical service of the National Assembly has trained staff for their maintenance. The screens are therefore expected to be functional on daily basis when Parliament is in sitting and will be used for the said purpose.